Books turn the ordinary into the extraordinary. They transform and transport us. 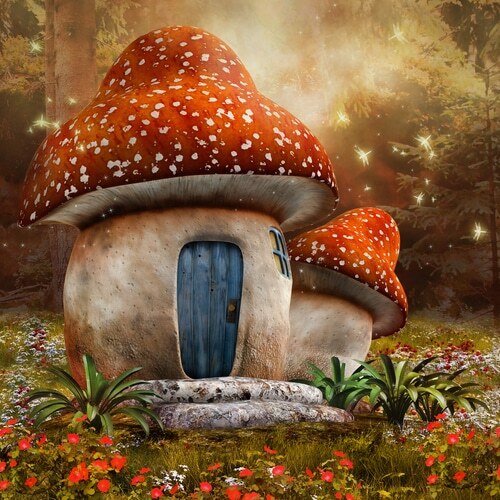 And sure, sometimes they tell magical stories about frog princes and enchanted worlds, but there’s something magical about all stories when you think about it. They allow entry to places we wouldn’t otherwise have access to. They shout “open sesame” to doors that seem locked. Language learning does all of this, too. That’s why reading is not just a practical and fun way to learn a language, but a magical one, too. With dual language or bilingual books, you can actively learn your target language and enjoy a good story at the same time. And more recently, you can get that enjoyment not just among the dusty shelves of your local library, but by literally just hitting a button. Yep, we’re talking about bilingual e-books. They may be the most magical items around. The magic of e-readers is that they turn heavy books into mobile, weightless takealongs, that are available for near-instantaneous download on a whim. Let’s see why bilingual e-books work, how to add them to a language program and—this is where the magic really comes in—where to find them! Bilingual books are typically formatted so one page or passage of foreign language reading is paired up with the corresponding English language translation of that material, and e-books can make bilingual formatting even more practical. For example, sometimes the translation is accessible on a paragraph-by-paragraph or even line-by-line format and appears when the reader clicks or taps on what needs to be translated. Other times, pages are divided into columns with both languages represented. And some books present translations following the foreign text, so you can swipe or click back and forth between the two languages. It’s definitely less frustrating to read without having to use a translation app or dictionary, and bilingual e-books (as opposed to just bilingual books) also have the added advantage of separate dictionary look-ups if you’re using an e-reader like a Kindle. For example, if you’re reading a bilingual e-book that switches between original text and translation every page, you can choose to just look up a single word with your default dictionary rather than flipping to the next page and spoiling your initial try at interpreting the general meaning of the text. For the above reasons, many learners feel that bilingual e-books are less intimidating than “regular” foreign language books. Remember, foreign language books that aren’t bilingual present the entire text in the target language. That’s fine if the book is basic level for beginners or if a learner is fluent and possesses a sizeable vocabulary. But unless that’s the case, endless pages of foreign text can be off-putting, especially if you can physically measure exactly how long the book is. The fact that bilingual e-books translate a text and place it within eyeshot of readers through the convenience of weightless technology makes this a doubly friendly and accessible method of reading. Plus, just like with any e-book, once a bilingual e-book is downloaded onto a Kindle, phone or tablet, it’s completely mobile. Since reading enables language acquisition, anything that makes it easy to take target language reading along wherever you go is definitely worth adding to your program. First, while looking at what’s out there, consider all types of books. Don’t limit yourself to just one “scholarly” source or even a language learning text. With bilingual e-books, all reading genres are represented. Choose something that piques your interest. There’s no shame in starting “small”—what I mean is, keep it basic to begin with. You don’t need to grab “War and Peace” for your first e-book—or even your twenty-first. Children’s books or comic books are solid reading materials and both are available for bilingual e-reading. Consider reading a book you’ve already read or a story that you’re familiar with, but in electronic bilingual format. Doing that eliminates some potential vocabulary or storyline questions. You already have an idea of who the characters are and how the plot progresses, so it’s not a stretch to figure a few things out without having to look at the translated page. But when all else fails—that’s why the books are presented in two languages. Use the translations. As you learn new words and phrases while reading your e-book, compile a vocabulary list or add to the one you’re already curating. Vocabulary lists are a language learner’s best friend. They can go anywhere and are perfect for filling up empty minutes spent waiting in line or on your lunch break. I carry vocabulary lists everywhere! 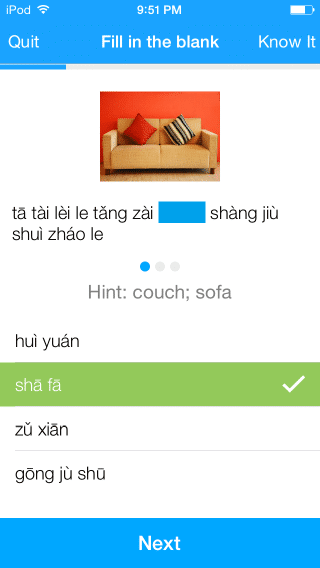 Then, take that vocabulary list and plug it into a customized flashcard set on FluentU. The program will pull clips using that vocab from videos across the site, transforming the vocab from your reading practice and re-contextualizing it into real-world interactive reading and listening practice. 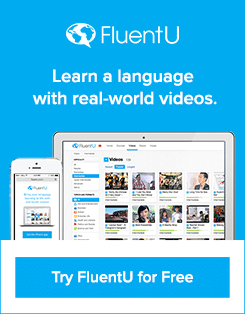 FluentU takes real-world videos—like news, music videos, vlogs and more—and turns them into personalized lessons that maximize the language learning experience. Try to choose at least some books that have more idiomatic language to increase your ability to know and use lingo appropriately. One way to do this is to choose contemporary titles rather than classics. It’s more likely that a current bestseller set in the present will contain more current idioms than a book written in the last century! Classics are still a great way to go with bilingual texts, especially since they tend to be so widely translated and easier to find in bilingual format—just make sure to mix it up a bit. There are some outstanding sources for bilingual e-books! Here are some of the best. Bilinguis. Bilinguis is a great spot to check out if you’re interested in reading the classics. There are five classic titles available in an assortment of language pairs. You can read them right on the site, and they’re available absolutely free! Unite for Literacy. Unite for Literacy offers bilingual children’s e-books in Spanish and English. Navigating the site is simple. Use the tool bar at the top to check out the various book categories (nature, technology, health and others) or search for specific titles. 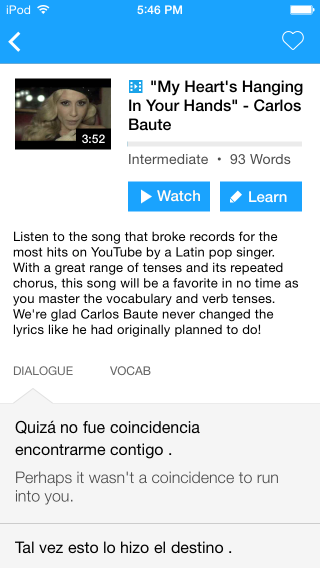 It’s also the place to select the text language (either English or Spanish) and audio translation. Audio translation is available in over 30 languages! VitalSource. VitalSource is a site that allows you to rent or buy “e-textbooks,” which in the Foreign Language Study category includes readers and dual-text books in a variety of languages. The cool thing about using VitalSource is that you can rent or buy multiple language learning books and access them through the site’s own reading app—it’s a great way to save money and keep your language study library clutter-free. Doppeltext. Doppeltext is an excellent resource for bilingual e-books—particularly if you enjoy works by famous authors or well-known pieces of literature. Books are available in French, German, Russian and Spanish, and translated text fragments appear in English. With these books, the entire page of foreign language text doesn’t have a corresponding full-page translation in English. Rather, the text is translated in small bites to encourage authentic reading. Following along is easy because the translations are generally sentence-long bits. If you’re struggling, just click and the translation appears above the passage. This works on a tablet, smartphone, e-reader or PC. Alba Learning. Alba Learning carries parallel text books in various combinations of English, French and Spanish as well as foreign language audio books. Their titles cover many genres, including short stories and biographies. Amazon. Amazon is undoubtedly a leader in providing bilingual e-books. Just search for “bilingual e-books” with your target language pair within the Kindle store to see what’s available. Some Kindle titles are free, so that’s a big plus. Download and begin reading—the whole process is so streamlined it makes this a very simple way to add relevant material to your reading program. Looking for a Particular Language? Here Are a Few Suggestions! Japanese learners will be impressed with the stunning drawings in “Yuko-chan and the Daruma Doll: The Adventures of a Blind Japanese Girl Who Saves Her Village” because they beautifully portray the sweet story. The tale is told in English with the Japanese kanji directly below the corresponding text. French readers will appreciate Victor Hugos’s “Les Misérables.” The translation from the French version keeps true to the original version, so the vocabulary and idioms are authentically presented. Fyodor Dostoevsky’s “Crime and Punishment” in this Russian-English bilingual volume is a snap to read. The individual paragraphs are translated, so going between languages requires minimal work. Reference the corresponding paragraph if there’s a question, and then continue reading! Italian language learners will fall into the rabbit hole with Alice in “Alice nel Paese delle Meraviglie” (“Alice in Wonderland”)—and have no problem at all understanding every bit of the adventure! I doubt Lewis Carroll could have imagined that this beloved tale would ever be available in a format that provides both English and Italian text side-by-side. This e-book also allows readers to highlight passages, take notes and search the book. I actually have this book on my Kindle—and I love it. It’s impossible to dog-ear e-books, but believe me, this one has been read and enjoyed more than once. “Spanish Stories: A Dual-Language Book” is a collection of thirteen classic Spanish short stories. They’re arranged in chronological order (oldest to most recently written) with accompanying text that gives readers insight into the authors who wrote them as well as the period in which they were written. It’s a book that’s not only entertaining—with sound Spanish language learning value—but educational in a historical and cultural sense as well. This Kindle edition allows readers to highlight passages, take notes and search the book, so it really has a lot to add to a Spanish reading program! “A Whale Who Dreamt of a Snail” is the ideal beginning dual-text Portuguese story. The illustrations are charming, the story is encouraging for both children and adults and the text appears in both English and Portuguese. Chinese learners are in for a truly magical experience with “The Mystery of Dragon Bridge: A Peach Blossom Village Story” because it’s as beautiful as the title suggests. It’s a children’s book suggested for intermediate level readers, but its gorgeous watercolor illustrations and uplifting tale are suitable for all ages. English and Simplified Chinese text is presented on each page. Alice Hoffman was right that “books may well be the only true magic.” They transport and transfix—and they teach. For language learners, anything that increases the potential for trouble-free reading is a resource that needs to be explored. E-books are portable and hit every mark. They’re truly an ideal tool for language learners. Power up your Kindle, phone or tablet. Download a selection or two. Make your own magic—and see how your language skills benefit from bilingual e-books! If you love the idea of learning languages with bilingual ebooks, you may love learning with FluentU even more.